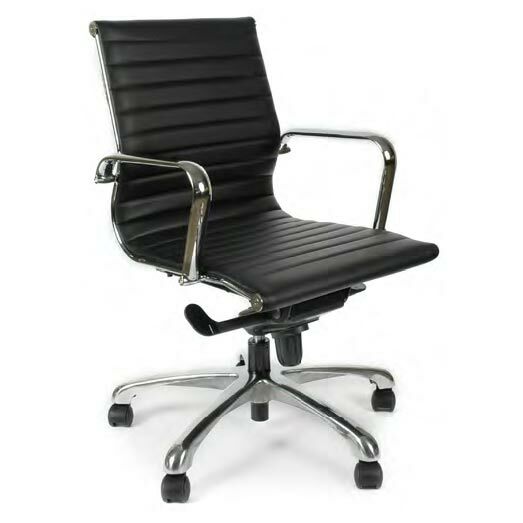 The Isaac Rogers leather conference arm swivel office chair is a great addition to your office. 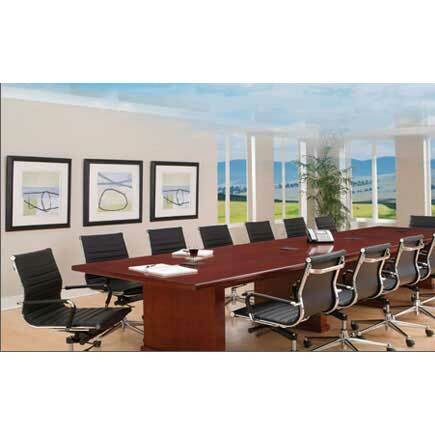 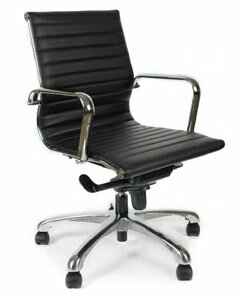 Segmented leather seat and back in black with chrome 5-star base and accents look great in offices and boardrooms. 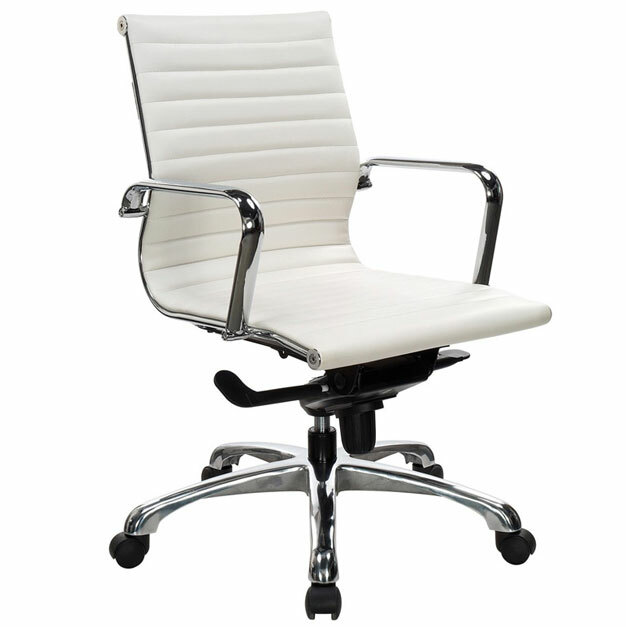 Mid back provides a comfortable seat with an productive distinction.